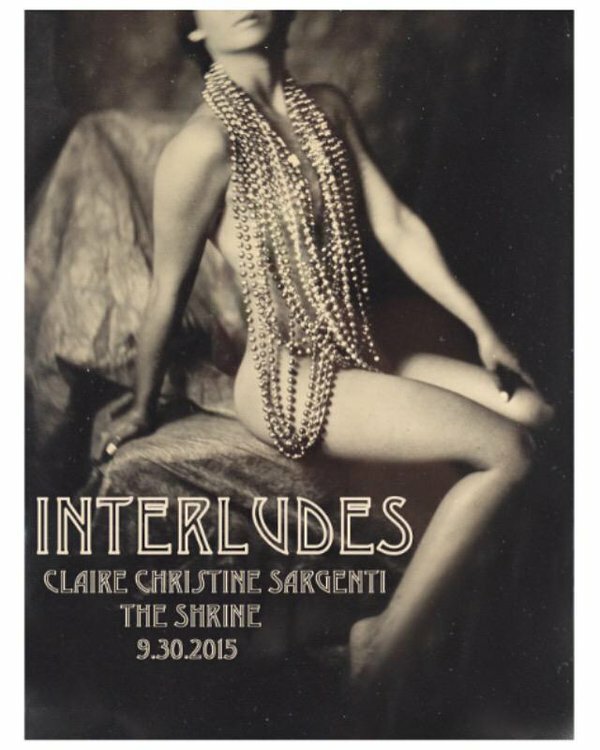 INTERLUDES is a one-woman-play written and performed by Claire Christine Sargenti. This series of monologues follows twelve different characters and their intertwining stories as they explore the meanings of life, death, violence, passion and faith in a post-Katrina New Orleans. One of those twelve characters is Dominique. ​Art reviewer David Dixon had this to say following a performance in San Diego, "In a sequence that will have many fighting back tears, she humanely depicts a real person, Dominique Liboiron, a Canadian who canoed from Saskatchewan to New Orleans so he could honor his late Uncle Mitch. Sargenti gives Dominique bittersweet dignity in the serene way that she interprets him. Moments like this makes her work a touchingly soulful experience." Inspired by the music of New Orleans, INTERLUDES transcends location and reflects the passions found at the root of the human spirit. Claire is a New York City artist known as "The Classically Trained Rebel" for her bold works that break boundaries and cross genre lines. She is also the creator and founder of the edgy and urban contemporary ballet company New Bridges Ballet and the solo character The Metal Ballerina. Sargenti is a SAG-AFTRA actor, writer, model, painter, dancer and choreographer. She received her training at the Joffrey Ballet School. To read David Dixon's review, please click here. ​Canoe and Kayak Magazine presented me with the Spirit of Adventure Award. The public voted on the trip that most inspired them to pursue their outdoor dreams.